GPCA’s calendar events are a must-attend for senior industry executives from the region and the world. GPCA’s bespoke conferences, seminars and workshops attract a combined audience of over 3,000 delegates annually, offering access to world class facilities, program and speakers, alongside unrivalled networking opportunities. 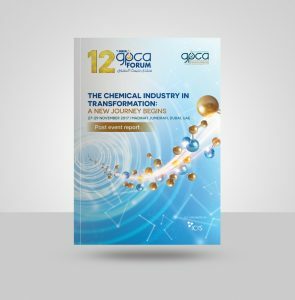 Over the past decade, the Annual GPCA Forum has not only become a key feature in the global chemical industry agenda, but also a crucial knowledge sharing and networking platform for regional and global stakeholders. In 2015, over 2,000 members of the international chemical community gathered together in Dubai to celebrate the achievements and growth of the petrochemical industry in the Arabian Gulf region and 10 years of the Annual Forum. This is a must-attend event for senior business executives from the region and globally. Prominent speaker line-ups at the past forums have included ministerial level executives from across the GCC. 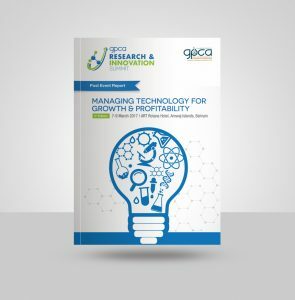 The GPCA Research and Innovation Summit serves as a platform to discuss ways and means for creating a culture of innovation within the regional chemical industry. The summit also engages stakeholders in the debate to develop innovation capabilities within the region. It has widely been praised for providing the needed platform to build strong understanding of R&I in the region seen as the key area of strategic development for the industry. The first edition of the R&I Summit was held in 2013. PlastiCon is an annual GPCA event that caters to the plastics segment of the petrochemical industry. The conference provides up to date views, trends and developments in the regional and global plastics conversion industry including detailed information on trending topics. GPCA PlastiCon also hosts the GPCA Plastics Excellence Awards, recognizing innovation in plastics conversion and allied industries in addition to supporting students with their achievements. GPCA launched the Responsible Care Conference in 2015 with the aim of raising awareness on the program’s framework and to measure companies’ performance. The GPCA Responsible Care Conference focuses on HSE matters relevant to the chemical industry and serves as a platform for companies to share best practices and success stories. The conference also focuses on steering the industry towards a safer and sustainable future. The Responsible Care Awards were established in 2015 with the aim to honor companies who have reached remarkable milestones within the Responsible Care program and within the industry. Launched in 2009, the GPCA Supply Chain Conference focuses on effective supply chain management within chemical companies across the Arabian Gulf region. It also provides a platform to facilitate discussion on key industry trends and growth opportunities. 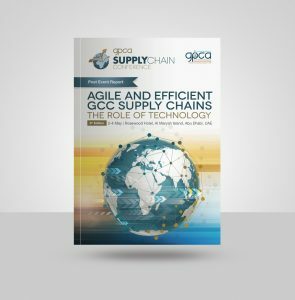 The GPCA Supply Chain Conference highlights the role and development of the sector and highlights the latest trends, challenges and opportunities. In 2016, GPCA launched “GPCA Supply Chain Excellence Awards” with the aim to recognize outstanding organizations, academia and individuals who have developed game-changing ideas and projects within the supply chain sector. The GPCA Fertilizer Convention is an annual event that brings together senior executives from the key industrial fertilizers producers in the GCC, fertilizer consumers and government representatives to exchange information and to explore and deliberate key issues regarding food security and long-term strategies for sustainable fertilizer manufacturing and application. The Fertilizer Convention provides analysis on both regional and global market trends. 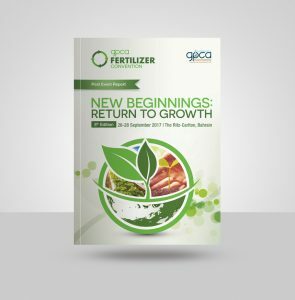 The first GPCA Fertilizer Convention was held in 2010.